Like many riders we’re big fans of using Strava as a method of recording our rides and keeping an eye on what our mates are up to. I’ve known Ben from Veloviewer for a while as we used to ride for the same cycling club and have used his site since it’s earliest days. I recently caught up with him and he kindly agreed to answer a few questions for our blog. 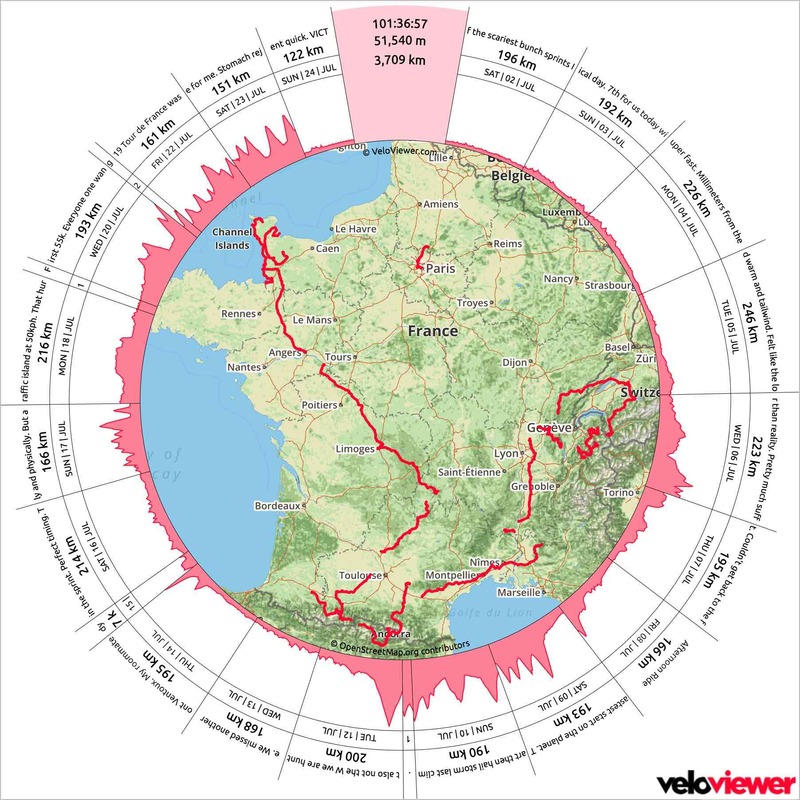 You’ve been going since 2012 – what’s the story behind Veloviewer ? It is still just me that works on VeloViewer but since February 2016 I’ve been lucky enough to be able to quit my day job and focus on the site full-time. Roughly how many users have you got at the moment ? Since Strava updated their API back in July 2013 I’ve been able to keep track of the number of unique users I’ve had connecting their Strava accounts to the site which has just hit 200,000. Obviously not all of these are PRO or PRO+ or I’d have retired to somewhere far warmer and sunnier than Sheffield by now! I also get a lot of users just viewing the segment profiles and visualisations which don’t require the connection of a Strava account. Who are your cycling heroes ? Ever since I started riding properly when I was about 13 my cycling hero has been my older brother, Tony. He was pretty good in his day (he’s not too shabby even now) but being 3 years older than me I spent many an hour suffering while looking at his back wheel. Fortunately things did even out eventually. I suppose in all aspects of life I’ve always preferred to be inspired be people I actually know or meet so don’t tend to have heroes in the traditional sense. Often from an athletic perspective the most inspiring people are those that are less fit/fast but far more determined to succeed than I could ever be. Rolling on the flat or hitting the hills ? Hills every time! The first 4 years of my cycling life were spent living in South Lancashire which meant a good hour or two of flat roads at the start and end of every ride. Since moving to Sheffield back in 1993 I’ve only ridden out East (the flat direction) the once and have no desire to head that way again! What is your favourite climb ? Tricky one. I was lucky enough to ride up Passo Stelvio from the North East earlier this year, the top section of which is by far the most impressive stretch of road I’ve ridden. It also helped that I took it at a steady pace and was able to enjoy the view! However the climb I enjoyed the most was up the valley from Venosc to La Bérarde (http://veloviewer.com/segment/7525179). Not a col so no real summit to be rewarded with but the views along the entire length of the climb are just exceptional and the pizza at the restaurant in La Bérarde was fantastic. Locally you can’t beat Mam Nic. How did the relationship with Team Sky come about? One of my cycling club mates mentioned that he had overheard Ben Swift on their Rotherham chain gang talking about Team Sky using my profiles during the 2015 season. I also already knew that a number of other teams and riders were using the profiles but on hearing the confirmation that Team Sky were using it I thought I needed to get in touch to try to arrange something more formal. I managed to get in contact with Team Sky’s Simon Jones (Head of Performance Support and Innovation) and talked through what extra I could offer over and above what VeloViewer was already providing and they were sold on the idea. One of Team Sky’s main directeurs sportifs Dario Cioni was a long time user of VeloViewer and along with Nicolas Portal we built up the public functionality of the VeloViewer Route Details page and also added a bunch of exclusive functionality that only they get with a goal of providing a one-stop-shop for all of their race-recon needs. All of their directeurs sportifs now use VeloViewer for the majority of their race planning and team presentations. What bikes are you riding at the moment and which is your favourite ? I treated myself to a BMC SLR01 at the beginning of the year and I’m very impressed with it. Perfect for the hilly, Classics terrain around Sheffield. I’ve also got an old (2007) Specialized Enduro but to be honest that very rarely gets ridden these days. Some of my best riding memories are on that bike though like heading down the Mega-Avalanche course at Alpe d’Huez (not in the race mind you). The most fun I have these days is on my CX bike riding all the great bridleways on our doorstep giving a great, quick-fix in my lunch hours. I just love the do-it-all nature of the bike and being able to keep away from the traffic as much as possible. How’s the Veloviewer team / club going ? The team was set up initially so I could personally promote VeloViewer in the autumn hill climbs that I was doing. Since coming up with VeloViewer I was always excited by the idea of having some branded kit so once VeloViewer was set up with British Cycling and the RTTC I got some nice kit made and gave a set away to some friends that were doing the same races. That’s all it is really. Veloviewer was originally designed with cyclists in mind. Are you getting participants in any other sports onboard and which is the strangest sport using your site? 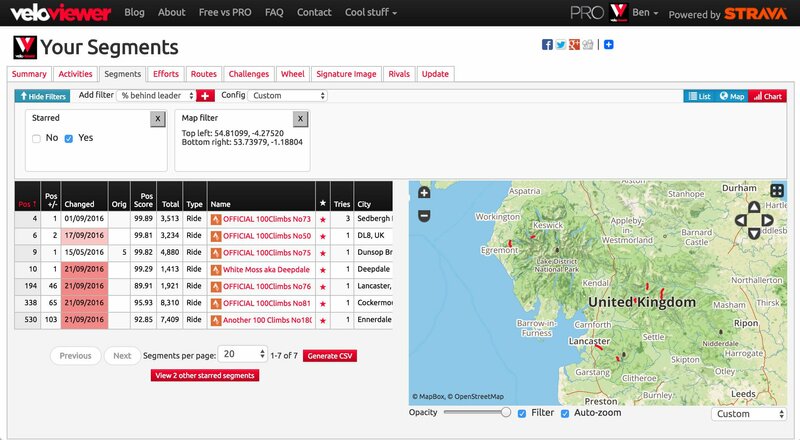 VeloViewer has always been used by triathletes and there have been a number of running and swimming specific features in there for quite a while, but it will work equally well for any type of sport that’s uploaded to Strava. Plenty of people use it for skiing, especially cross-country skiing. 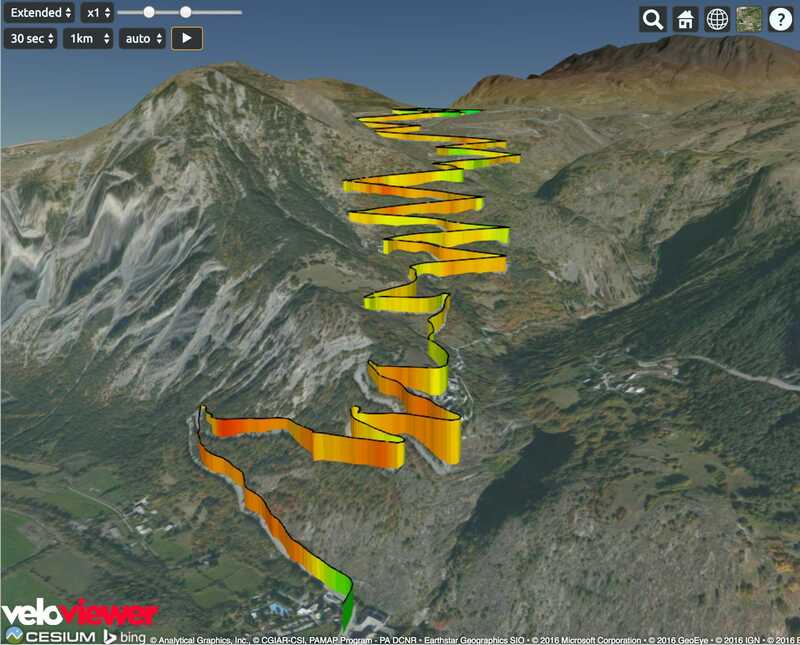 I think seeing a paragliding 3D profile must have been the most interesting/strange things to look at!